Charles Peckham Day was born on 9th February 1976, in New York City, New York, USA of Italian, Irish and English descent. He is a musician, actor, screenwriter and producer. However, the main source of his wealth is acting. 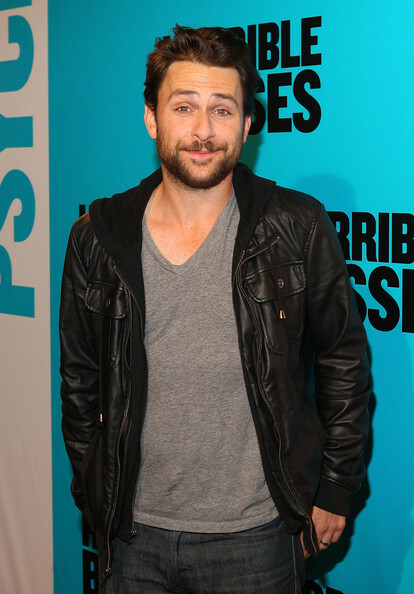 Charlie Day has been active in the entertainment industry since 2000. How rich is Charlie Day? It has been reported that Charlie’s current net worth is $14 million, with the vast majority of his wealth being earned from his acting. Both of Charlie Day’s parents were musicians, and both worked as educators. His mother worked as a teacher of piano whereas his father was a professor of music theory and history. Charlie played basketball while studying at high school, then he graduated with a Master’s degree in Fine Arts from Merrimack College. His career began with several roles landed in the episodes of television series “Madigan Men” (2000), “Law & Order” (2001) and others. Then, he received a small role in the series “Third Watch” (2001 – 2004) created by John Wells and Edward Allen Bernero. In 2005, he debuted as a screenwriter and producer of the series “It’s Always Sunny in Philadelphia” (2005 – present). What is more, he is the main star of the above mentioned series. He has been nominated for the Critics’ Choice Television Award and Satellite Award for the role of Charlie Kelly which is the most successful role landed by Day so far. More, he has composed some of the music pieces featured in the series “It’s Always Sunny in Philadelphia”. Later, he appeared in the episodes of the “Saturday Night Live” show in 2011 and 2012. Day has also voiced the characters in the animated series “Unsupervised” (2012), “American Dad!” (2012), and “Robot Cartoons” (2014 – present). Furthermore, Charlie Day’s career on the big screen began with small roles in feature films including “Campfire Stories” (2001), “Bad Company” (2002), “Love Thy Neighbour” (2005) and “A Quiet Little Marriage” (2008). His first major role was in the feature film “Going the Distance” (2010) directed by Nanette Burstein. The film received mixed reviews from critics though Day continued his career starring in “Horrible Bosses” (2011) directed by Seth Gordon. This film was financially very successful with a box office gross of more than $209 million. What is more, the film received mainly positive reviews from critics, and contributed significantly to Charlie’s net worth. Recently, Day appeared in the films “The Hollars” (2015) directed by John Krasinski and “Vacation” (2015) written and directed by John Francis Daley. In addition, Charlie Day voiced several animated characters in the films “Monsters University” (2013), “Party Central” (2013) and “The Lego Movie” (2014). Charlie has also voiced the video game “Disney Infinity” (2013), with all the above mentioned appearances increasing Charlie Day’s net worth. In 2001, Charlie Day met his future wife, actress Mary Elizabeth Ellis while working in the television series “Reno 911!”. They married in 2006, and in 2011 their first child named Russell Wallace Day was born.